Price comparison on rental cars on the island Tenerife (Tenerife Island, Isla de Tenerife, Tenerife), Spain online. Search and book a vehicle easily. When you book a rental car with us there will be no problems when you pick up the car on arrival. The price includes free mileage, obligatory insurances and airport fees, local taxes and fees. 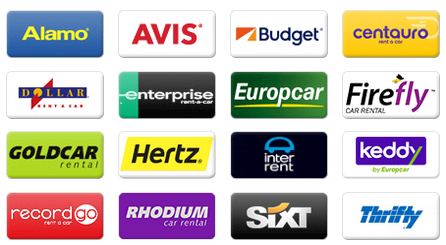 Autospain.co.uk can help you search for rental cars. Search for a city or an airport and choose your destination from the list. If you search for a country or an island, auto suggestion will list the largest airports in that country. Search and book in advance if you want an extra-large car and/or extra options such as booster seat, car seat, infant car seat, GPS, tow hitch, roof rack etc. It is also possible to rent a car for one way drive in Spain, called a one way rental. You collect the car in one place and return it somewhere else, e.g. another city or country. Autospain.co.uk has amazing prices and compares large companies as well as small ones in all price ranges. Here you can compare rental cars and hiring a car from several companies on the island Tenerife in Spain. Closest towns are Realejo Alto, Güimar, Santa Úrsula, Los Realejos and La Orotava. Choose and compare large companies as well as small ones. Drive at your own pace without stress if you are planning a tour of the island. Compare long-term rental for one day, one year, a whole month, week, the number of days you wish or a weekend. Rental cars at Tenerife’s ferry terminals and ports (Puerto Médano, Puerto Colón, Santa Cruz de Tenerife Port, Port of Los Gigantes, Puerto Garachico, Puerto Deportivo Radazul, Port of Candelaria and Port of Tajao), travel centres, train stations and airports (Tenerife South-Reina Sofia Airport and Tenerife North Airport). Choose between different locations where to pick up your car. You can rent through us where the companies have their offices. Car rental where every cost is included, no hidden fees and free cancellations/amendments up to 24 hours before you are supposed to pick up the car. Easy and safe online booking of rental cars. InterRent, AutoReisen, Class Rent a Car, National, Canarias.com, ClickRent, CICAR, Hiper Rent a car, TopCar, Autoclick, Centauro, Surprice, Faycan, Budget, Rhodium, Dollar, Marbesol, Keddy By Europcar, Goldcar, Nomadcar, Alamo, Record, Delpaso, King rent, Firefly, Orlando, Thrifty, Autos Valls, Owners Cars, Sixt, Europcar, Hertz, Enterprise, Avis, Malco Rent a Car, Flizzr, Maggiore, La Palma 24, Solmar, Atesa, Niza, Autos Aguirre, Dickmanns, Orcar Canarias, Cooltra Scooter, OK Rent a Car, Autos Menorca, Drivalia, Hertz Dream Collection are the companies we compare on the island. Tenerife (Tenerife Island) is an island in the municipality Santa Cruz de Tenerife in the Canary Islands region, Spain and has about 886 000 inhabitants. Gran Canaria, La Palma Island, El Hierro, La Gomera and La Ballena etc. are islands that are close by. Are you planning to take the ferry to other islands (Island Crossings)? Few car rental companies allow you to bring your rental car. Read more in the rental terms when booking. Use the search box to find the pick-up place you want on the island. 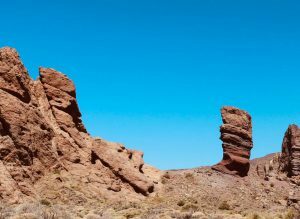 Are you looking for more things to do on Tenerife? You will find more info under each city on the island. Santa Cruz de Tenerife (c. 222400 pop), San Cristóbal de La Laguna (c. 150700 pop), Arona (c. 78600 pop), Adeje (c. 43200 pop), La Orotava (c. 41200 pop), Granadilla de Abona (c. 40000 pop), Los Realejos (c. 37600 pop) and Realejo Alto (c. 36000 pop) are cities and communities close by or on the island. Minor villages, towns and suburbs that are close by are Realejo Alto, Güimar, Santa Úrsula, Los Realejos and La Orotava. Other names for this island can be Tenerife Island, Isla de Tenerife, Tenerife. Suggestions on attractions, experiences, places and destinations that are worth a visit during your trip to Tenerife. Notable amusements parks, water parks and theme parks on or close to the island are Parque Maritimo Cesar Manrique, Lago Martiánez, Karting Club Tenerife, Aqualand and Karting Las Americas. Vineyards and wine producers on or close to the island are, for example, Ferrera, Prodiflora, Bodegas El Penitente, Guachinche Papa Frita, Guachinche El Paso, Hermanos Mesa, Bodegas Cándido Hernández Pío and Bodega Tajinaste, if you are planning a wine tour and tasting in Tenerife. Close by there are volcanoes such as Teide, Montaña El Chinyero, Montaña Siete Fuentes and Montañas Negras. Caves we recommend a visit to are Cueva de (Cave) Chinguaro and Cueva del (Cave) Rey. A day for relaxing and sun basking on the beach at Playa del Terrero, Playa el Bollullo, El Arenal, Playa del Cabezo, Playa del Puertito de Güímar, Playa Jardin, Playa del Alacalde and Playa del Socorro. They are all in the area. Pico de Teide and Montaña del Cedro are some of the highest mountains on the island. Pico Viejo and Pico Abonero are among the highest mountain peaks on the island. Amarilla Golf Club, Buenavista Golf, Golf La Rosaleda Par 3, Abama Golf, Golf del Sur, Amarilla Golf & Country Club, Real Club de Tenerife and Golf Costa Adeje are golf courses located close to or on the island. If you would like to play some golf. To see the whole of the island from a viewpoint, please visit Viewpoint of Puertito de Güimar and Parador de Las Cañadas del Teide. Car hire in airports nearby: Rent a Car Tenerife South Airport, Tenerife North Airport and La Gomera Airport. Car rental in nearby cities: Car Hire Santa Cruz de Tenerife, San Cristóbal de La Laguna, Arona, Adeje and La Orotava. Rent a car on islands nearby: Car Hire Gran Canaria, Fuerteventura, La Palma, La Gomera and El Hierro. To find the best price for a car on Tenerife, autospain.co.uk compares, amongst others, the following companies Enterprise, Goldcar, Orcar Canarias, InterRent, Thrifty, Faycan, Record, Orlando, Alamo, Hertz, Centauro, Class Rent a Car, Keddy By Europcar, Surprice, Hertz Dream Collection, Nomadcar, Solmar, King rent, Autos Valls, Autoclick, Budget, Sixt, AutoReisen, Marbesol, Niza, Canarias.com, Atesa, Europcar, National, Avis, TopCar, Firefly, Dollar, Owners Cars, Rhodium, Hiper Rent a car, Dickmanns, Cooltra Scooter, ClickRent, Drivalia, Wiber, Maggiore, Delpaso, Autos Menorca, OK Rent a Car, La Palma 24, Autos Aguirre, Malco Rent a Car, CICAR and Flizzr.